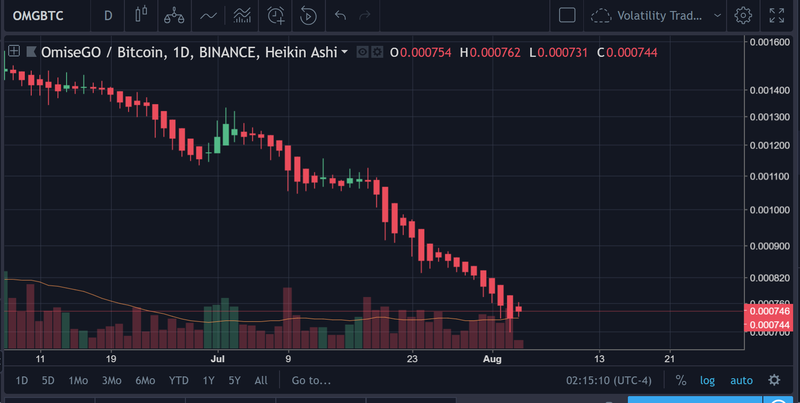 The chart above is the daily for $OMG. Short-term downtrend still holding steady on the $BTC pairing for $OMG. Lots of red candles at the end here. Remember, we are in a bear market, so it can remain oversold for as long as it needs to be oversold. In other words, don’t adopt the fallacious trading logic (in a bear market) that says, “Oh! It’s finally hit the oversold point. That means that we must be due for a bounceback now!”. This mentality will get you savagely wrecked. Volume at the bottom here isn’t doing any favors either. Actually, if you look closely enough, you can see that it appears as though the sell volume has actually increased over the last few days for $OMG and, in general, it has been a lot higher than any of the buy volume candles on the currency, currently. I haven’t personally tracked the sentiment in the community right now, but I would imagine that it is not very high at the moment. Volume ain’t looking much better on the 4H either. You can clearly see that the buy volume is descending on this chart, with the body of the last candle that’s forming currently right now not exhibiting an open that is dramatically above the close of the preceding close (Heikin Ashi bars). This is probably what can be attributed to the slight rise in the RSI, but overall there’s nothing to write home about when it comes to $OMG. I’d have to write this down and write this off as a hard pass. 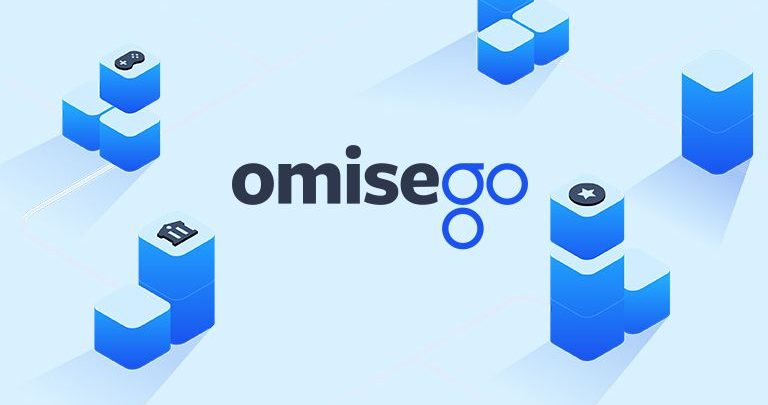 No reason to be putting any type of a long trade here on $OMG. This is something that his a heavy wait for me, at least. I would wait initially for like a week, maybe two to reassess the price movement and see if there’s any long positions that are worth opening. If not, I’d strike it from my list of potential cryptos once again the same way that I just did today. Originally published at steemit.com on August 4, 2018.